This is my first attempt with the full sphere. 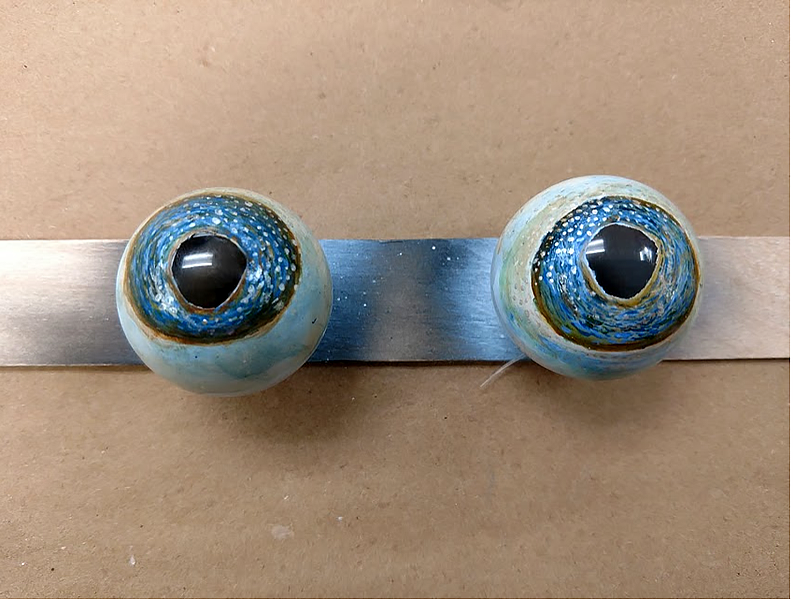 a finished eye (with only one coat of gloss varnish) and side by side with it's in progress mate. 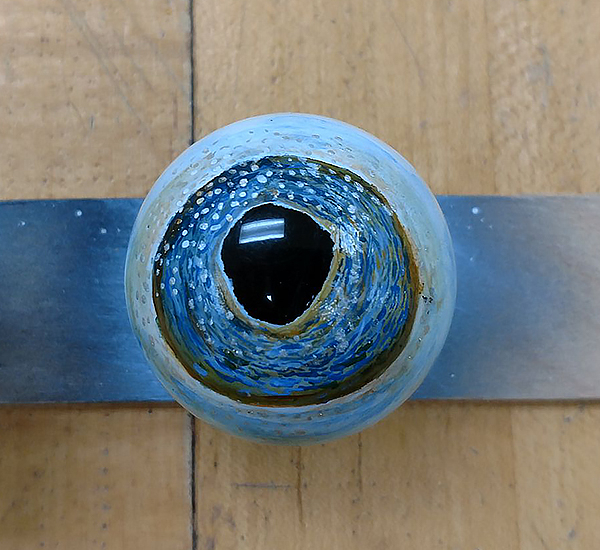 Finally finished this eye's mate today. 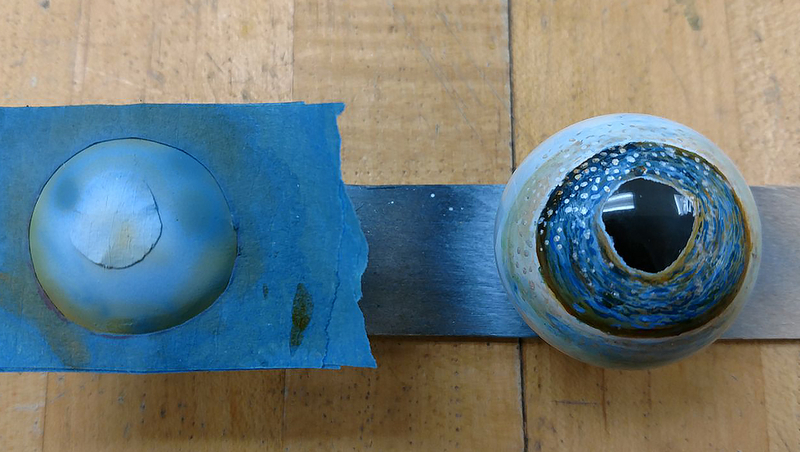 The shape and pupil placement isn't identical, but I noticed that many squid eyes (that I was using as research) were often different on one animal, so maybe it's a happy accident the first time around. Getting eyes to look identical is extremely hard! Though sometimes you luck out and they can't both be seen at the same time on a character.